Our Designs are highly functional since we understand the user & laboratory infra-requirements, as well as the complexity involved in such projects. The Spaces are designed to be ergonomic, safe and flexible so that the user can adopt ‘plug and play’ methodology in the lab. We adopt Green Building approach by way of proposing energy conservation concepts. Our designs are based on climatology, with the central philosophy of Recycle and Reuse. Engineering & technology is used at its optimum by recommending optical sensors, VAV and such other systems. 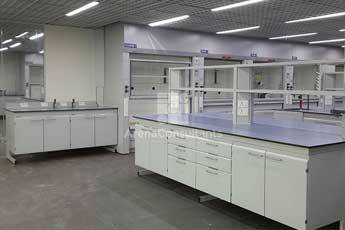 We carefully and consciously select the materials and colors to be used in labs. Glass and graphics form the most vital elements of our designs. Thus our designs reflect the nature of business the company runs and also enriches the working environment. This phase marks the beginning of the project. In this phase we sit and discuss with the scientists to explore and elaborate the idea for the lab. 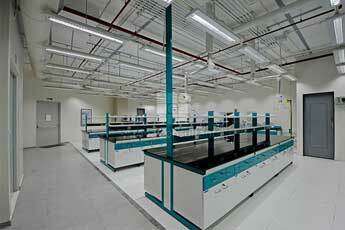 The goal of this phase is to examine the space & utility requirements of the lab. In addition, decisions are made concerning involvement of different engineering teams and defining their respective role. In this phase, the requirements that are associated with final outcome of a laboratory are specified as clearly as possible. This involves identifying and defining the expectations that all of the user scientists and client engineering team have with regards to the project result. The list of requirements that is developed in the planning phase can be used to make design choices. In the designing phase, one or more designs are developed, with which the laboratory project result can apparently be achieved. Depending on the nature of the laboratory, the particulars of the design are prepared. The user scientists and client's engineering team use these designs to choose the definitive design that will be produced in the project. During the development phase, everything that will be needed to execute the lab project is arranged. Tender, specification and BOQs are prepared, potential suppliers or subcontractors are brought in, a schedule is made, requisites are ordered, and instructions are given to the team and so forth. The development phase is complete when implementation is ready to start. Every detail must be clear to the respective parties who will carry out the implementation. Award for Corporate Excellence in Laboratory Architecture Design from Mr. Nand Kishore Badami, Director and Head of Marketing at Cisco India and SAARC. 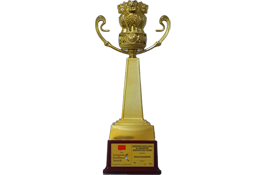 The award was given by Lokmat in association with the World CSR Congress on the summit day for Sustainable Maharashtra. "Working with Arena consultants has been an incredible journey as they were always there to help us in bringing out the best of best in designing and execution. Archana with her long experience was a pillar in helping us with designing and execution. The Novelty/ innovative factor in lab designing was always given a priority and most important was the kind and mutual understanding made this journey a memorable one. We wish them always best in all their future endeavors." 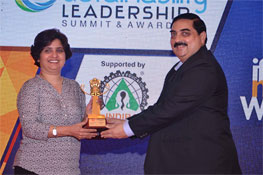 Dr. Vimla Prakash - Head R&D | International Panaacea India Pvt. 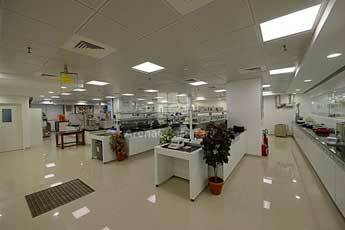 Ltd.
"Recently Archana successfully completed R&D laboratory renovation work at Sudarshan chemicals. As noticed during the entire project duration, one of the important aspects of Archana's style is "Integrated Project Delivery (IPD)", meaning integration of the entire team, from owner to contractor to subcontractors, early in the design process. While maintaining all the laboratory requirements she gave equal importance to aesthetics. She is quite open and flexible to suggestions. Nevertheless she is bold, firm and courageous in putting her views across. She has many prestigious projects to her credit and I am sure she will have many more to follow. I very much appreciate her project completion skills and wish her a very bright future in the years to come." Pramod Dalvi - Head R&D | Sudarshan Chemical Industries Ltd.
"This is to confirm that M/s Arena Consultants was among the team of associates and helped us in creating the R&D facility at Chandivali Andheri location. M/s Arena supported the principal Architect in preparation of the Laboratory layouts, design & execution of lab furniture and allied utility work. We appreciate the close interactive approach and basic understanding towards the technical aspect of the R&D lab infrastructure work. With their support we could commission the R&D laboratories in a stipulated time frame. The layout of the R&D centre is cautiously designed to satisfy all technical user requirements along with ease in operation while fulfilling all safety guidelines. 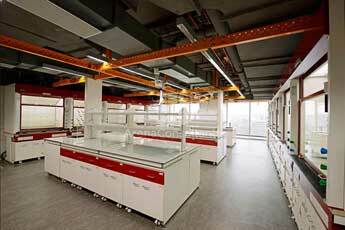 Scientific user fraternity of our organization is please with the exquisite facility. We wish them all success in future." 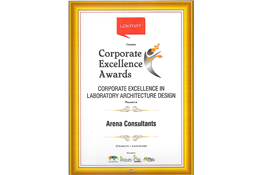 "We are pleased and happy to say that we were right in appointing 'Arena Consultants' as our ‘Laboratory Architects'. This facility is meant for 5 divisions of Huntsman group admeasuring an area of 60,000 sq.ft. The scale was one of its kinds in Mumbai with diverse and complicated requirements. Yet the manner in which the layouts were prepared, displayed the efficiency and design skills of a Laboratory planner. Their work reflected their capability, in-depth knowledge and work experience that Arena Consultants carry. They were flexible & proactive and came up with multiple solutions as and when required. Our visions for this project matched. The detailing and specifications laid out by them were clear and specific with no compromise approach. They showed an attitude and responsibility to go an extra length to get the things in right manner!" Kurt Girod - Project Director | Huntsman International (India) Pvt.Ltd. "I came in contact with Archana when she was working on the designing of Archroma Product Stewardship Laboratory on the 11th floor at MBC Park, Thane. She is knowledgeable and excellent in Conceptualization. She is quick to grasp the needs and translate them into effective layouts. She is fun to work with and speedy in her responses. She is a patient listener and very cooperative and understanding." Dr. Dileep Wakankar - Head Product | Stewardship Asia Archroma India Pvt. Ltd.
"Archana has excellent knowledge about the subject and architecture wise she is good in lab design. She is well focused while working in her domain. Overall supportive and can adapt to the changes if well explained and found convincing. Overall it’s excellent to work with her." "The design, developments and execution of the interiors of our Research and Development Laboratory at Mundhwa, Pune was taken up by Architect Archana Sohoni. We found her work to be of very good quality. 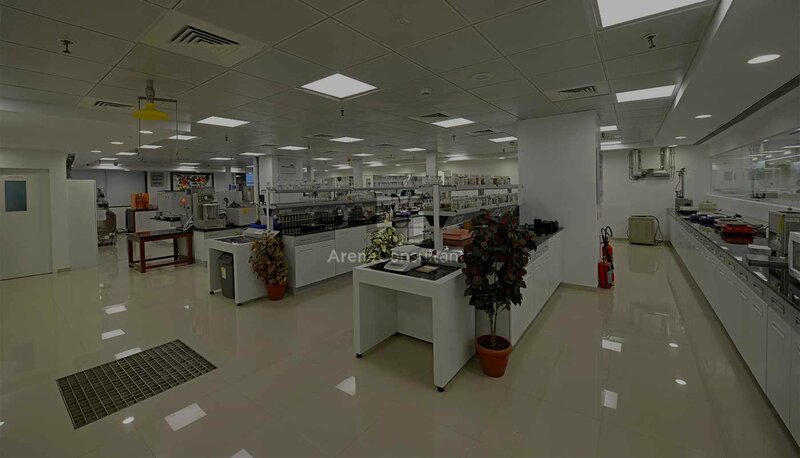 Typically, consultants focus on functional requirements of laboratory interiors, but Archana and her team balanced functional requirements very well with aesthetics. The result was that the project was well delivered and with required safety. We found Archana and her team well organized and flexible in their approach. We wish them success in all their future endeavors." Navendu Bhushan - Project Manager | Dow Chemicals Intl. Pvt. 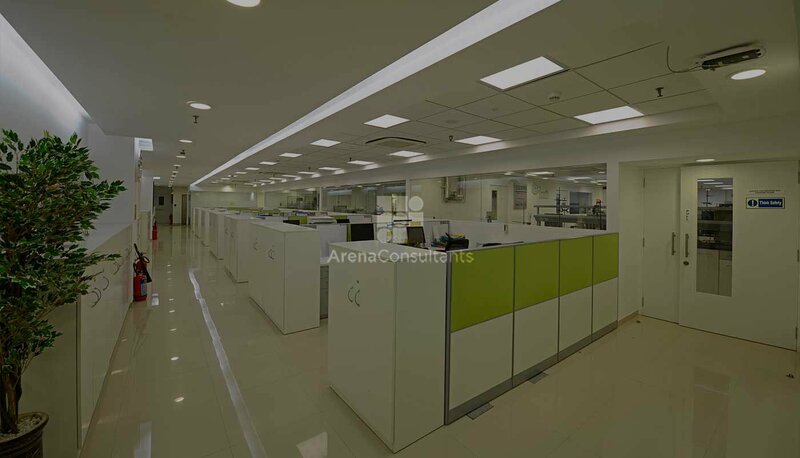 Ltd.
"Arena Consultants is focused, thorough and gives a comprehensive touch to the entire project, be it designing, detailing, costing or project management for that matter. Archana makes sure that the project flow is smooth and information sharing is streamlined. I think what differentiates Arena Consultants from other architectural firms, is that Archana and her team, ensure that, it is not just the final product that is important, but also the process through which you execute the project. I wish them success in future endeavors"
Ravindra Jagtap - Managing Director | Aastrid Life Sciences Pvt. Ltd. Arena Consultants is an experienced, matured and enthusiastic firm dedicated to the pursuit of design excellence and professional service. 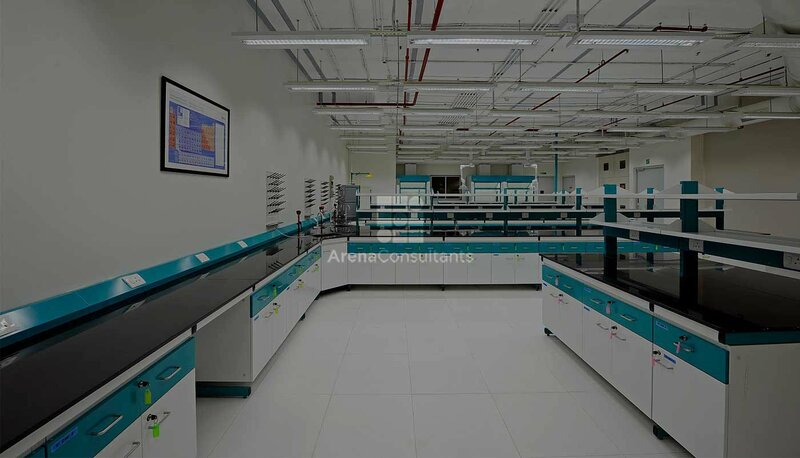 We are Laboratory Design Consultants having focus exclusively on planning and designing of Laboratory facilities for Industry, Healthcare, Research and Education.